The Vernier Gas Pressure Sensor is used to monitor pressure changes in gas-law experiments in chemistry, biology, and physics. The Gas Pressure Sensor may require a compatible interface and software. Choose a platform below to see compatible interface and software options. The Gas Pressure Sensor is fully supported with LabQuest 2 (version 2.8.5), a standalone data logger with built-in graphing and analysis software. Important: The Gas Pressure Sensor sensing element will be damaged with direct contact to liquid. 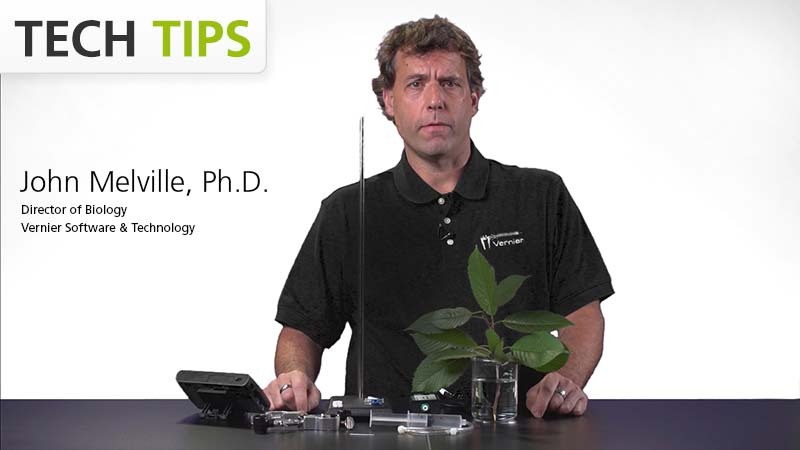 Follow along as our Director of Biology, Dr. John Melville, walks through how to measure pressure changes as a plant takes up water into the stem. "Transpiration of Plants" is an experiment available in our Investigating Biology through Inquiry and Biology with Vernier lab books. 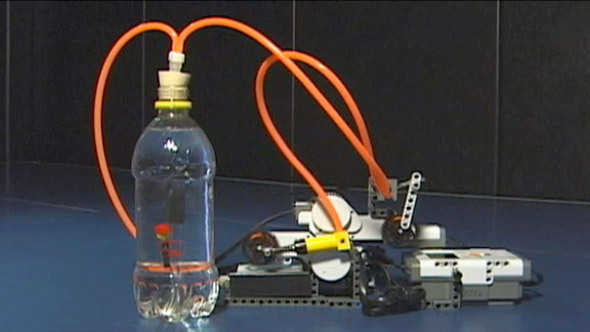 In this project, you will design and build a stationary air-pumping station for a Cartesian diver apparatus. Use a Vernier Gas Pressure Sensor and a LabQuest to investigate grip strength and muscle fatigue. 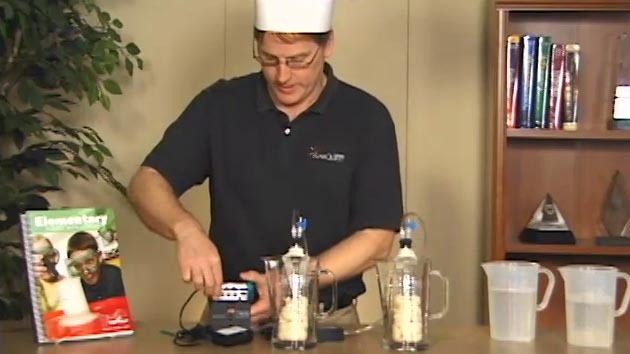 Use Vernier Gas Pressure Sensors and a LabQuest to measure the change in pressure as bread dough rises. 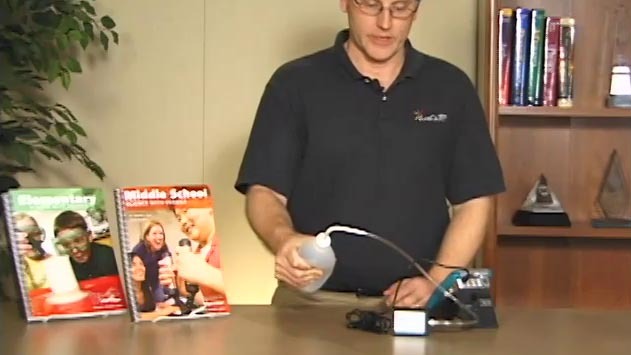 Use a gas pressure sensor to compare the grip strength of one hand versus another. You do not have to perform a new calibration when using the Gas Pressure Sensor. The sensor is calibrated prior to shipping. If you do choose to calibrate, a one‑point calibration at atmospheric pressure is adequate for most applications. Connect the Gas Pressure Sensor to an interface following the steps in the Getting Started section of this user manual. Initiate the calibration procedure and make sure the one-point calibration check box is selected. This should be the default option. Enter the actual pressure as the known value for Reading 1. When the voltage reading stabilizes, click Keep. If you want to use the calibration for the current session only, click Done to complete the calibration process. To save the calibration onto the sensor, click the storage tab and save to the sensor. The Gas Pressure Sensor has been calibrated to read station pressure. Station pressure is the true atmospheric pressure at your location, or station. If you prefer it to read sea-level pressure for conducting weather studies, you can perform a one‑point calibration to correct for elevation, using the sea-level corrected pressure value for your location obtained from a reputable source (e.g., NOAA, Weather Underground, etc.). Sea-level pressure is the pressure after the station pressure has been adjusted to its equivalent pressure at sea level. This is commonly done to normalize pressures at various altitudes for weather forecasts. To further improve accuracy, you may want to perform a two-point calibration. Connect the Gas Pressure Sensor to an interface following the steps in the Getting Started section of this user manual. Change the units first, if desired. Initiate the calibration procedure and select the one-point calibration option check box to clear it. For the first calibration point, allow the sensor to equilibrate to atmospheric pressure. When the voltage reading stabilizes, enter the atmospheric pressure for Reading 1. When the voltage reading stabilizes, click Keep. For the second calibration point, apply pressure with an external pump, measuring it at the same time with a pressure gauge. Enter the gauge reading into the calibration dialog box in your data-collection program. When the voltage reading stabilizes, click Keep. 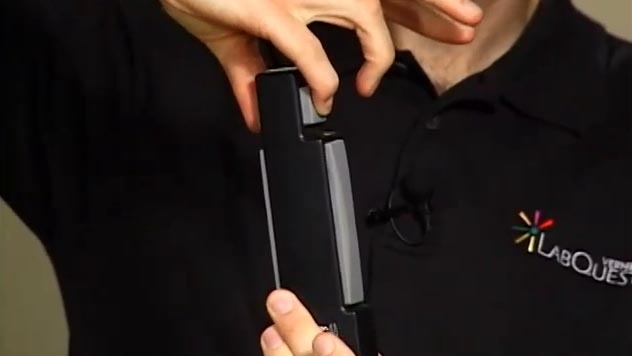 The sensor in this unit has a membrane that flexes as pressure changes. This sensor is arranged to measure absolute pressure. One side of the membrane is a vacuum, while the other side is open to the atmosphere. The sensor produces an output voltage that varies in a linear way with absolute pressure. It includes special circuitry to minimize errors caused by changes in temperature. 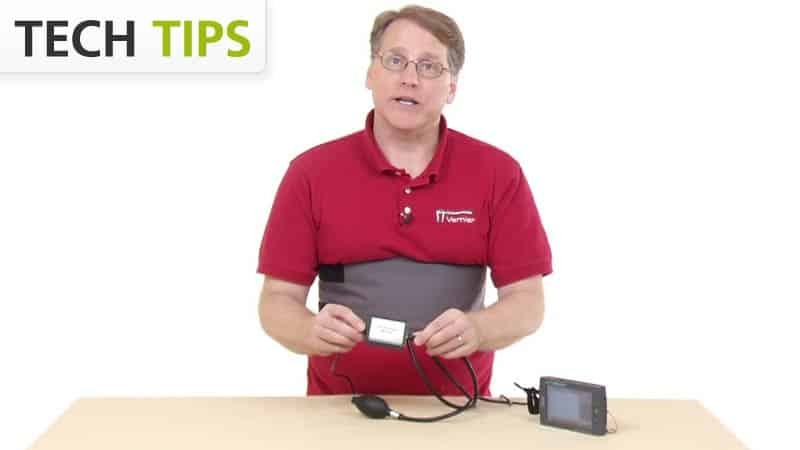 If you have watched the related product video(s), followed the troubleshooting steps, and are still having trouble with your Gas Pressure Sensor, contact Vernier Technical Support at support@vernier.com or call 888-837-6437. Support specialists will work with you to determine if the unit needs to be sent in for repair. At that time, a Return Merchandise Authorization (RMA) number will be issued and instructions will be communicated on how to return the unit for repair.